The kingdom of Nepal is a multicultural country deeply rooted in its traditions and renowned for its magnificent mountains. Organically grown, our Nepal Mount Everest Supreme coffee offers a refined flavour, great body and good acidity. Nepal Mt. 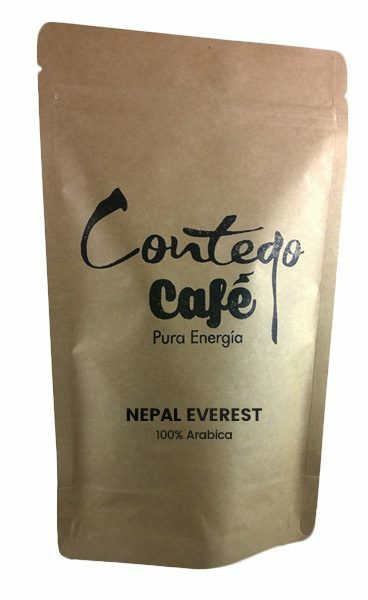 Everest Supreme is the northernmost coffee grown in the world. We are the exclusive importer of this extremely rare coffee. This Caturra variety Arabica is grown on the Plantec Coffee Estate, a small plantation in the district of Nuwakot. Located at the foothills of the Ganesh Himal mountain chain, it’s grown about 100km from Mt. Everest. Planted in one of the few regions at this latitude sheltered from frost, the flowing waters of the Trisuli river vivify the area. USDA Certified Organic, the plantation owners have gone to extraordinary lengths to use local compost, and sustainable agricultural techniques to create a truly ethical coffee. The shade grown beans are hand sorted and exclusively sun-dried. Nepal coffee has spectacular sweet notes of nougat, chocolate and fresh red fruits. 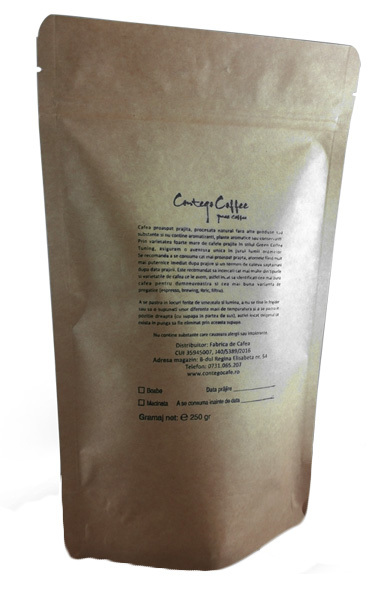 With a low acidity and a full, creamy body, this coffee is a real specialty coffee experience. Though as yet unremarkable as a gourmet coffee, the Nepal region has the potential to produce exquisite coffee in years to come due to improved growing and processing methods. Better coordination through distributors and the supply chain is leading to more availability, but Nepal coffees are still fairly scarce in North America. Currently, only about 517 tons of coffee was produced in Nepal in 2015 according to the NPCA (Nepal Coffee Producers Association) – about 8600 x 60-kg bags. Roughly 50% of the coffee is consumed locally. Most Nepalese coffee is grown by small farmers and higher returns are now incentivizing increased Arabica production. Nepal has areas where the terrain and climate are suitable coffee and there are also significant numbers of previously existing Arabica plants now being improved. This effort is being led by the Nepal Coffee Producers Association, which aims to unite the smallholders. Himalayan Java grows the Caturra coffee plant varietal (an Arabica varietal) north of Kathmandu at about 2,300 feet above sea level at the foot of the Ganesh Himal mountain range where a frost-free valley in the northern belt of Nepal provides optimal coffee growing conditions. The best Nepal coffees are High Grown with shade cover, allowing the beans time to mature and ripen, developing full and robust flavors. The coffee of Nepal has been described as rustic in the cup with a mild acidity. Increasingly a Semi-Washed Processing Method is used and advances are being made in the cultivation as well as the processing of the coffee beans to assure quality. Cupping Notes: highly fruity flavors (cranberry, prunes, orange), with a creamy body and fruity, woody (cedar) aroma and apple-like acidity. Brewing Tips: The smooth and creamy body and medium acidity of Nepal Mount Everest coffee is best highlighted in a single origin espresso. The sweetness of this coffee makes it perfect for any milk recipes, like Flat White or Cappuccino. This SWISS WATER® Fairtrade Organic is decaffeinated coffee reflecting a philosophy that taste needn’t disappear when the caffeine does. It surges with chocolate before sliding into a long caramel finish. Decaf that tastes like coffee should!